Come home again for the holidays. We take you to the peaks of the Blue Ridge where Reverend Roy Ledbetter and all the members of the Open Heart Community Fellowship have been working hard to fill your holidays with joy. Starting with Genesis and going all the way to the Nativity, they spin a holiday story with down-home laughter, toe-tappin’ music and a tug at the heartstrings. Come experience the joy and wonder that has made Beautiful Star: An Appalachian Nativity the biggest hit in Triad Stage’s history. 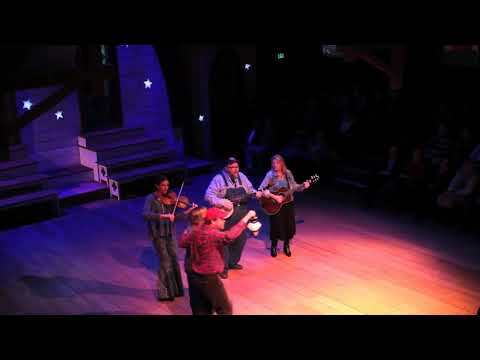 Watch the video: The Beautiful Star Band performing "Stable Shed"
The Beautiful Star Band performing "Stable Shed"
From the name, you know this show is not your usual nativity story you’re used to seeing in church. 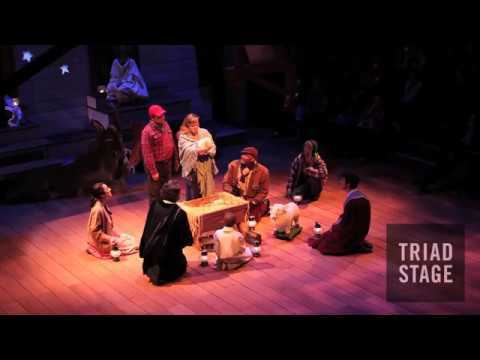 “Beautiful Star: An Appalachian Nativity” is an interactive theatre experience that walks through memorable stories from the Christian Bible right up through to the iconic nativity scene that is so familiar to us all. For musician Riley Baugus, being a part of Triad Stage’s annual “Beautiful Star: An Appalachian Nativity” feels like a homecoming of sorts.